We all know someone like him: the professor who, with his boring frontal lecture, transports students to the land of dreams long before the first sheep has made the jump over the fence. What good does the best content, if the speaker does not captivate his audience? Challenge accepted! 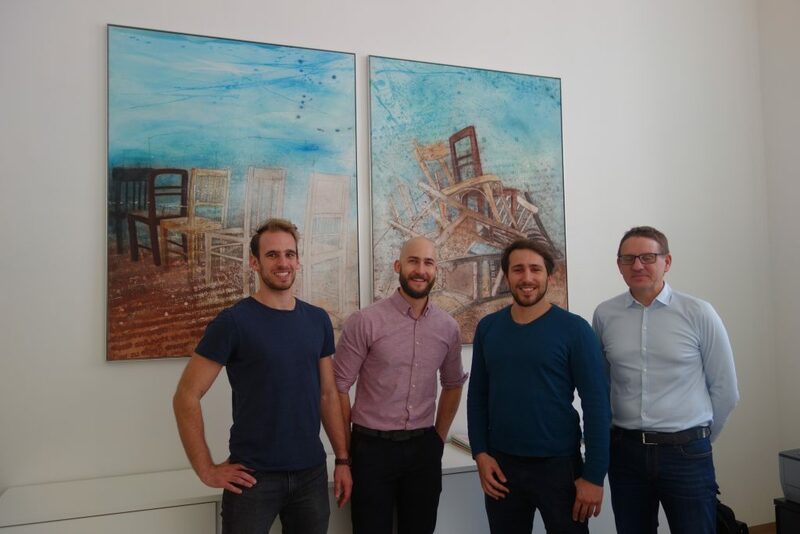 As we announced in our autumn blog, Philipp and Michael courageously joined Leopold Winkler – our long-time research and contact person at the Vienna University of Technology – in the seminar “Building Process Management” of the Institute for Interdisciplinary Construction Process Management. 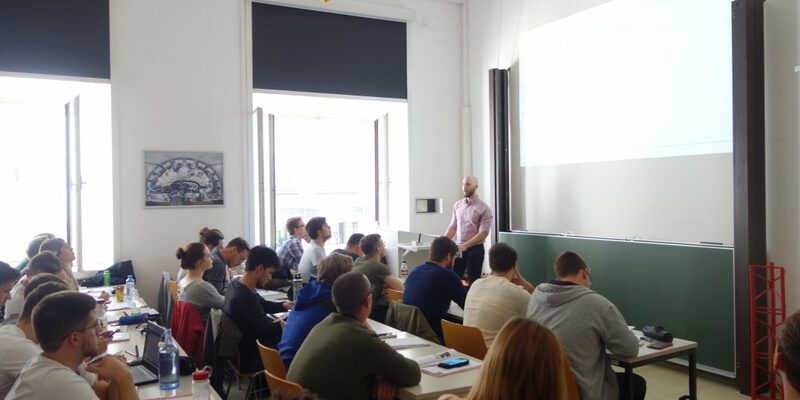 For the first time, Philipp and Michael have put themselves behind the lectern and exchanged views with students at the Vienna University of Technology – and we can say this much: With such a lively exchange of ideas there was no chance for an afternoon nap. – What are the monitoring and reporting obligations in civil engineering? – How are research projects organized? – How do digital techniques change existing work and documentation processes? In the course of the first lecture, the students got an insight into the basics of process management. At the beginning, the importance of a complete process as well as a process map of a construction company were presented. The knowledge of the points of contact of a neutral monitoring system on the execution processes and the PDCA (Plan-Do-Check-Act) cycle of quality management serve as a basis for all further developments. The standard study on monitoring and reporting obligations in civil engineering was argued from the general contract provisions to the execution standards and the project-specific obligations and then discussed with the audience. In the second part of the lecture, Philipp gave personal insights into the founding of a start-up and the hurdles of a research proposal. In particular, he aroused great interest in the students through his practical narratives, such as the definition and evaluation of the criteria of a research proposal. For the selection of suitable research partners Philipp referred to the Institute for Interdisciplinary Construction Process Management and SBA Research. Through the explanations on agile development the lecture got a seminar like character as the possible implementation of these methods in everyday life apart from soft- and hardware engineering was directly discussed with the students. With some insights into eguana SCALES’ data monitoring, the third keynote speech gave the attentive listener an understanding of how organization and documentation processes are changing with the help of digitization. It was also described how several diploma theses in which the traditional process was recorded, optimization potential discovered and a definition for the requirements of digital data monitoring developed had been carried out jointly by eguana and the institute in recent years. 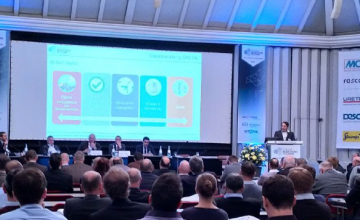 In this context, Leopold Winkler explained that the development on construction sites can only work through the parallel pursuit of the tooling and automation scenario and a human-centered development process. The data monitoring DIGITAL in five stages therefore begins with the digital availability of site data, leads to the regulated control and release as well as a visualized construction process management and ends with analysis, billing and possible interfaces to higher-level ERP systems. Michael presented the visualization possibilities of eguana SCALES on the basis of different projects and touched upon his six-step concept starting from a basic framework up to a target-actual comparison. The necessity and possibility of digital work instructions for a paperless construction site as well as the presentation of KPIs (Key Performance Indices) were made a subject of discussion and led to in-depth questions. At the end of the seminar, Michael summarized, that central sources of information can facilitate positive changes to the communication structures on construction sites and that a comprehensive content of information can be evaluated and distributed in real time. The lecture was met with a positive response by the students as well as by Professor Goger. He supports the progress and in-depth details of the digital construction processes of the research project, said Goger, and is looking forward to future cooperation in the possible follow-up project “Quality Management in Civil Engineering”. At this point we would like to thank Leopold for this detailed contribution. We look forward to future joint projects!